Fact #1: We cannot compare dropout rates when there are different ways of calculating a rate. Various ways of calculating the dropout rate reveal different ways of thinking about the issue. Event rate indicates the number of students who leave high school each year and is compared with previous years. Status rate, a cumulative rate much higher than the event rate, denotes the proportion of all individuals in the population who have not completed high school and were not enrolled at a given point in time. Cohort rate describes the number of dropouts from a single age group or specific grade (or cohort) of students over a period of time. 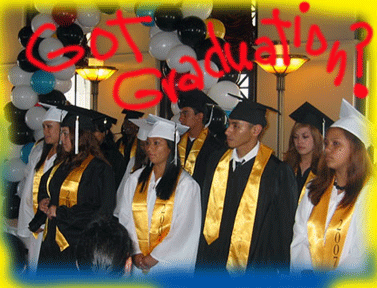 The high school completion rate indicates the percentage of all persons ages 21 and 22 who have completed high school by receiving a high school diploma or equivalency certificate. Fact #2: Current dropout rates are not reliable. Fact #3: Evaluating a school or district on their current dropout rate can be misleading and dangerous. In fact, education experts say, none of the existing dropout-rate data gives a full picture. Governors are making changes that will yield better counts within a few years, they add. Accurate reporting is important because so much education policy now turns on statistics. Misleading data can do harm, says Jack Jennings of the Center on Education Policy. “If you raise doubts about the effectiveness of the schools, you can put into disrepute people’s efforts to reduce dropout rates. If you use less dramatic data, you can lull people into complacency.” Accurate numbers are needed, he says, “before we can fashion some solution. Fact #4: Districts are pushing low performing students out the door before they need to be accountable for them. Prediction #1: Change may be on the way. “Saying the nation’s public schools “need to get real about having kids graduate from high school on time,” U.S. Education Secretary Margaret Spellings unveiled new regulations Tuesday that will require states to use a single graduation-rate formula within five years.